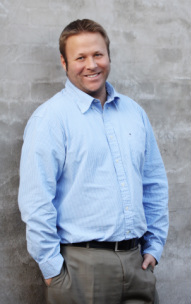 Chris Lehmann is the founding principal of the Science Leadership Academy, a progressive science and technology high school in Philadelphia, PA. The Science Leadership Academy is an inquiry-driven, project-based, 1:1 laptop school that is considered to be one of the pioneers of the School 2.0 movement nationally and internationally. The school was recognized by Ladies Home Journal as one of the Ten Most Amazing Schools in the US, has been recognized as an Apple Distinguished School from 2009 through 2013 and has been written about in many publications including Edutopia Magazine, EdWeek and the Philadelphia Inquirer. In June 2013, Chris was named Outstanding Leader of the Year by the International Society of Technology in Education. In November of 2012, Chris was named one of Dell’s #Inspire100 – one of the 100 people changing the world using Social Media. In April of 2012, Chris won the Lindback Award for Excellence in Principal Leadership in the School District of Philadelphia. In September of 2011, Chris was honored by the White House as a Champion of Change for his work in education reform. 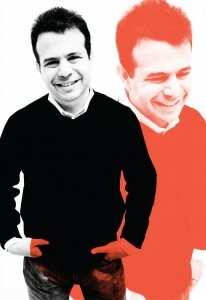 In June 2010, Chris was named as one of the “30 Most Influential People in EdTech” by Technology & Learning Magazine. In 2009, Chris was a honoree for the Association of Supervision and Curriculum Development’s Outstanding Young Educator Award. Chris was named as one of “40 Under 40″ by Philadelphia Business Journal in 2009. Hannah, Kolby, and Lilly are 3 of the 20 members of the Chrome Ninja team at Jonathan Jennings Elementary School. They are led by their teacher, Beth Day. Every day these Ninjas explore ways to use technology in their school, help their classmates utilize their Chromebooks, and even assist with training teachers. They also work with other students in the district as a model for schools to develop their own Chrome Ninja team. Hannah (left) is involved in cheerleading, dance, gymnastics, and 4-H. Kolby (center), an avid IU fan, is a member of the academic team, student council, and the Charlestown Attack baseball team. Lilly (right) enjoys choir, soccer, swimming, tennis and a good piece of cheesecake. They are three amazing young people with different interests, but all three can agree on one thing: technology is helping them become better learners and leaders. They like how technology helps them in the writing process and gives them a chance to help others. It’s not the same old, same old. Technology keeps learning new, fun, and engaging. 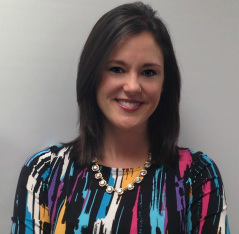 Amber Teamann is an Assistant Principal at a PK-5 elementary school in Garland ISD. She has the privilege of being at a Math, Science, Technology magnet school which means she gets paid each day to work with some of the best technology and students around. Through her 12 years in education, she has also served the district as a Title I Technology Facilitator, which put her on 17 different campuses to help staff and students navigate their digital abilities and responsibilities. Prior to that, she taught 4th grade and loved every single minute. She firmly thinks that there should be no separation between technology and subject matter and that all subjects can be made more engaging to students if we are able to deliver it in a manner in which they want to learn. Whether that includes a website, a device, or presentation style, we should ALL want to be the best we can be for our students, and she tries to model that for her staff. From being a part of district initiatives to innovative ways to connect with their stake holders, she is constantly doing something to make education more meaningful for her campus. Helping launch Twitter within her district has led to open dialogue about the power of social media and the opportunities to tell our stories the way we want them shared. Amber has been on the EdCampDallas planning team since its inception and has created numerous Digital Fluency classes for her Regional Service Center. In 2013, she partnered with George Couros to develop and curate leadership with the “School Admin Virtual Mentoring Project”, which connected over 400 educators worldwide in a space that nurtured and cultivated leadership. She has spoken at numerous conferences, both locally and nationally, including ASCD and Learning Forward. In addition to blogging for Connected Principals, she is a firm believer in modeling a digital footprint. Her educational philosophy and digital portfolio can be found at www.TechnicallyTeamann.com. She can also be found on Twitter at @8amber8. 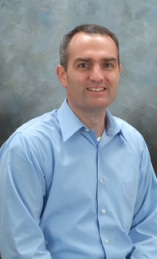 Thomas D. Whitby has served a contributing Editor for SmartBlog on Education by SmartBrief. He retired from Public Education after serving 34 years as a secondary English teacher, and spent an additional six years as an adjunct Professor at St Joseph’s College in New York. He is the founder of seven educational groups on LinkedIn, the largest being 12,000+ members, the Technology-Using Professors Group. He is a Co-Creator of #Edchat, an award winning education discussion group on Twitter. 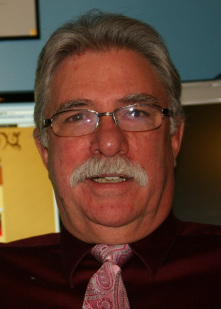 He hosts the weekly Edchat Radio Show on the BAM Radio Network. He created the Educator’s PLN, a global Ning site, where approximately 16,000+ educators share and collaborate daily. He participated on The U.S. Department of Education's planning committee for Connected Educator Month in 2013 and 2014. He is an education Blogger, My Island View: Educational, Disconnected Utterances. The Qatar foundation has invited him for the past two years to attend the WISE Conference, an International Education Conference in Doha Qatar. He has written about Social Media in Education for several national educational journals including Learning and Leading the Journal for the International Society for Technology in Education. He has presented at statewide and National Education Conferences, including several 140 Character Conferences on Social Media in Los Angeles, and New York City. Matt Miller is a high school Spanish teacher who has taught in a 1:1 environment for three years and has presented to more than 1,000 teachers at a variety of workshops related to educational technology, world language instruction and more. He also created Ditch That Textbook, a blog about teaching less with the textbook with an emphasis on educational technology and creative teaching ideas and is one of five recipients of the 2014 Golden Apple Award for excellence in teaching in the Wabash Valley. Wendy is a former secondary science teacher having taught Chemistry and Physical Science at both the Middle School and High School levels in Fulton County Georgia and McKeesport Pennsylvania. Wendy was introduced to interactive technologies while teaching in Pennsylvania and experienced first hand the impact of technology on teaching and learning. In 2007, Wendy was recognized as a PA Keystone Educator - identifying her as one of the top 100 educators in PA utilizing technology in teaching and learning. Wendy began working with Promethean in June of 2008 as a Teaching and Learning Consultant and now as a Senior Education Consultant. 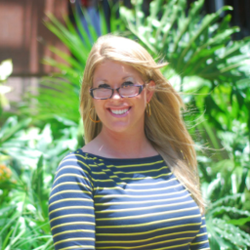 She has spent the past 6 years working with teachers, administrators and innovative educational technology leaders pursuing her passion of effective technology integration that enhances teaching and learning. Wendy is a graduate of Elon University and Georgia Southern University. She currently resides in Frankfort, KY with her husband, 2 daughters and 2 pooches. Erin Klein is an award winning educator, national keynote speaker, author, and mother who has been twice selected to serve on the Scholastic, Inc. Top Teaching Team based in New York. Her recent publication, Amazing Grades, was a collaboration with experts from 13 countries around the world. She travels the country speaking about the power of student voice, how meaningful technology integration can enhance learning experiences, and the impact classroom design has on today’s learner. She is certified in Brain Gym, Educational Kinesiology, and has studied under consultants from The Center for Effective Learning to understand how design affects cognition and learning. Klein serves as a classroom design consultant and creative partner for the publishing company, Carson-Dellosa. Some of her articles and interviews on design for education and technology tools for the classroom can be found on Smartblogs for Education, MindShift, Scholastic, Edudemic, Edutopia, EdSurge, and EdReach. Klein served for the past three years as the state’s technology chairperson for the Michigan Reading Association and is the 2014 recipient of the MACUL Pre-K - 12 Teacher of the Year for Michigan. In 2013, Klein was also awarded her district’s Teacher of the Year award. She currently serves on the advisory board for Remind101 in San Francisco and is an organizer for the EdCamp Detroit Annual Educational unConference. Among Klein’s accomplishments, she was also recognized as a SMART Technologies Exemplary Educator, ISTE (International Society for Technology in Education) 2012 Social Media Influencer, and a member of The National Writing Project. This past summer, Klein was accepted into The Teacher’s College at Columbia University to advance her studies in reading and writing workshop. For the past two years, Klein has been invited to Washington D.C. to represent the BAM 100 Influential Voice in Education. She has her Masters of Education in Curriculum and Instruction, currently teaches at Cranbrook Schools, and lives in Bloomfield Hills, MI with her husband and two children ages 5 and 9. Her work can be found on her award-winning educational blog, Kleinspiration.com, and you can follow her on Twitter @KleinErin. Kyle Pace is an Instructional Technology Specialist for a K-12 district near Kansas City, Missouri. Kyle Pace has worked with K-12 teachers in his district to provide instructional technology professional development for the last 10 years with 4 years prior to that teaching elementary school. Kyle has spoken at education conferences such as Learning Forward, ISTE, FETC, Educon, and various Edcamps. Kyle also has presented virtually for the Simple K12 Teacher Learning Community, The Reform Symposium online conference, and Education Week. In January 2009, Kyle co-authored a book titled Integrating Technology With Music Instruction. In April 2010, Kyle participated on a panel about Education And The Real-Time Web at the 140 Conference in New York City. Kyle has organized all three annual EdCampKC unconferences in 2010, 2011, and 2012 respectively. In July 2011, Kyle was chosen to participate in the Google Teacher Academy in Seattle, Washington to become a Google Certified Teacher. In January 2013, Kyle was named as one of Education Week’s 2013 “Leaders to Learn From” and joined the other honorees this past April in Washington, D.C. to receive special recognition from Secretary of Education, Arne Duncan. Kyle has a strong passion for sharing with teachers and administrators about the impact that educational technology can have on student learning. Find out more about Kyle by visiting his website and blog at http://www.kylepace.com. A recent addition to the Alliance for Excellent Education, Tom Murray serves as the State & District Digital Learning Policy & Advocacy Director. Tom’s wealth of experience in K-12 digital leadership have been recognized at the national level, which included implementing a 1:1 program, BYOD, blended learning, and a K-12 cyber school when he served as the Director of Technology and Cyber Education for the Quakertown Community School District in Bucks County, PA. A former school principal, Murray is passionate about proper technology infusion and differentiated professional development; creating personalized roadmaps for professional learning. He was the 2012 recipient of the Blended Schools Network Leadership Award, named one of the top 16 'forward thinking EdTech leaders in the country', named one of the "Top 100 influential voices in education", and has been featured in Tech & Learning Magazine’s Leadership Profile. Murray’s QCSD cyber and blended learning programs have been highlighted by Forbes.com, T.H.E. Journal, District Administration Magazine, Project Red, Tech & Learning Magazine, the Innosight Institute, iNACOL, and on Digital Learning Day in both 2013 and 2014, among others. He also serves on the advisory board for T.H.E. Journal. Murray is also the founder of #edtechchat, a weekly educational technology Twitter forum, where hundreds of educators from around the world discuss digital learning. As a follow up, his weekly show, #edtechchat radio on the BAM Radio Network is available in iTunes and regularly falls as one of the top downloaded education podcasts. Connect with him on Twitter @thomascmurray or at www.thomascmurray.com. Dan Spencer is an Educational Technology Consultant and proud member of #TeamJXN for the Jackson County (MI) Intermediate School District. He and his team work to improve technology integration in teaching and learning across 3,000 classrooms in Jackson and Hillsdale Counties. As a former high school chemistry and physics teacher, Dan created a more student-centered classroom by "flipping" learning and implementing a BYOD program. He actively shares edtech resources and experiences on Twitter at @runfardvs and #TeamJXN. Editor's note: If you want to know why Dan is pointing at his hand, find our here. Helen Lazzaro is a K-12 Educator with degrees in Elementary Education and Computer Science, and a Masters in Instructional Technology. Helen is a consultant with Flipped Learning organization and a frequent presenter at educational and technology conferences and school district professional development events. Helen is certified as a Google Educator. As an educator in Elmhurst, Illinois, she served as Department Chair, Building Technology Integration Specialist, District Professional Development Instructor and Curriculum Developer. Helen founded and found financing to sponsor the student-run Sandburg Spartan TV channel , which continues to broadcast live daily announcements, events and other news to each classroom. She also serves on the NICE (Northern Illinois Computing Educators)board as Secretary and is Chair of Facilities, Virtual Streaming and Databases for Illinois Computing Educators Technology Conference. William M. Ferriter--@plugusin on Twitter— is national board-certified teacher who teaches sixth graders in a PLC near Raleigh, North Carolina. As a Solution Tree PLC Associate and a contract content developer for Pearson Achievement Solutions, Bill has designed professional development courses for educators nationwide. His trainings include how to structure the work of professional learning teams; how technology can facilitate efficient collaboration; the role that technology can play in re-imagining classroom instruction; and how teachers can incorporate more student-involved assessment practices into their classrooms. Bill is also a founding member and senior fellow of the Teacher Leaders Network and has served as teacher in residence at the Center for Teaching Quality. An advocate for PLCs, student-centered learning spaces, improved teacher working conditions, and teacher leadership, Bill has represented educators on Capitol Hill and presented at state, national and international conferences. Bill has also had articles published in the Journal for Staff Development, Educational Leadership, Kappan and Threshold Magazines. A contributing author to two assessment anthologies, The Teacher as Assessment Leader and The Principal as Assessment Leader, he is also coauthor of Making Teamwork Meaningful, Teaching the iGeneration, Building a Professional Learning Community at Work™, Learning Forward’s (formerly NSDC) 2010 Professional Development Book of the Year, and Communicating and Connecting with Social Media. Bill earned a bachelor of science and master of science in elementary education from the State University of New York at Geneseo. For more information, visit: http://blog.williamferriter.com/ . Oh yeah--and his wife and daughter are beautiful! D'Athlone is a Global Account Manager at Florida Virtual School (FLVS), the country's first state-wide online public middle and high school. FLVS is nationally recognized as a leading authority on online education practices and curriculum development. D'Athlone's expertise in online and blended learning comes from her many roles at Florida Virtual School, including an English I online instructor for homeschooled and traditional students, teacher trainer and coordinator of student activities for virtual students. As a Global Account Manager, D'Athlone has worked with districts throughout the country and has conducted presentations, face to face trainings and webinars for teachers, administrators and state personnel. Her expertise lies in implementing online, virtual and blended programs, conducting needs assessments, personalized learning, project-based learning, and digital curriculum. For D'Athlone, meeting individual student's needs is the most essential component of any program. She views education as a cooperative effort where all stakeholders play a vital role in the success of students. D'Athlone's in-depth knowledge of online and blended learning, her extraordinary customer service, and the creativity she employs when developing personalized educational programs, make her an invaluable asset to her clients. A graduate of the University of South Florida with a Bachelor of Arts in English, D'Athlone began her education career in Hillsborough County, Florida as a middle school Language Arts instructor, where she served at-risk, English language learners and gifted populations.